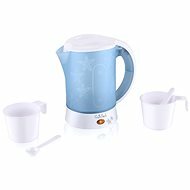 The ETA 7188.90000 electric kettle meets all the requirements for an affordable and easy-to-use appliance. 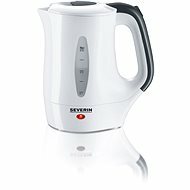 It offers a total volume of 0.5 litres and is equipped with a fuse to shut down on reaching boiling point. 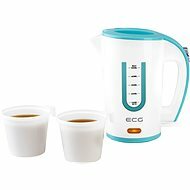 It works at a power consumption of 1000 watts, ensuring fast hot water preparation for all your delicious drinks, whether coffee or tea. There is also a lock in the closed position as well as a couple of operating safety fuses. The equipment includes two plastic cups, whose presence highlights the use of this appliance during travels. Travel version, Automatic Shutdown Done! For shipping to other EU countries visit this page ETA 7188 90000 Brand. Für Versand nach Deutschland, besuchen Sie bitte ETA 7188 90000 Marci. Chcete doručit zboží do Česka? Prohlédněte si ETA 7188 90000 Marci. Chcete doručiť tovar na Slovensko? Prezrite si ETA 7188.90000 Marci. Für Versand nach Österreich, besuchen Sie bitte ETA 7188 90000 Marci. Magyarországra történő kiszállításért tekintse meg ezt a termékoldalt: ETA 7188 90000 Marci.